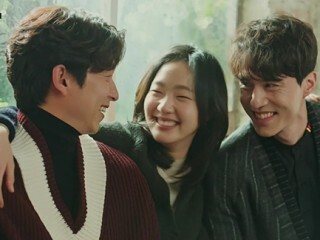 Just like the fans, Kim Go Eun could not believe that "Goblin" has finally come to an end. In a handwritten letter posted Wednesday, the Korean actress recalled her memories in the drama and even promised a happy ending for Eun Tak and the Goblin. On top of the success "Weightlifting Fairy Kim Bok Joo," cast and crew, including the Swag Couple, went to Jeju Island to bond and celebrate their friendship. Fans are asking for more of "Romantic Doctor, Teacher Kim" even after the SBS drama concluded on Jan. 16. In fact, Yoo Yeon Seok approved the idea of having a sequel for the medical series. Lee Je Hoon seemed to love the idea of his role as a time-traveler in "Tomorrow With You." In fact, he got even luckier when he was paired with actress Shin Min-A for the upcoming fantasy drama. Nearing its end, the KBS drama released a behind-the-scene photos from its first episode up-to its recent episode. 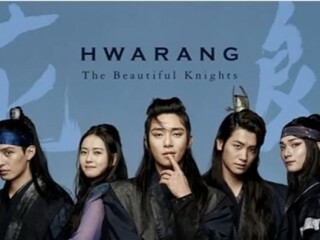 The drama started airing its first episode on Dec. 19. Romantic comedy queen Shin Min Ah revealed she relates in many ways to her character Song Ma Rin in "Tomorrow, With You." The upcoming tvN drama will replaced Gong Yoo's "Goblin." A time-traveling romantic comedy, titled "Tomorrow With You," will take on the time slot of tvN's highest rated drama "Goblin" starting Feb. 3. The newest drama will feature Shin Min-A and Lee Je Hoon, who will be drawn together to avoid an unfortunate fate. From playing as a materialistic old sister in "Cheese in the Trap" to being a chic neurosurgeon in "Doctors", fans saw a different side of Lee Sung Kyung in the recently ended drama series, "Weightlifting Fairy Kim Bok Joo," where she took the role of an athlete. Actor Lee Dong Wook expressed his gratitude for the success of "Goblin" through a video message. The artist, who played as the Grim Reaper, admitted he never expected things will turn out well for the tvN drama series. "Goblin's" main cast said their goodbyes through handwritten letters. Through the letters, the cast expressed their sweet messages of gratitude.